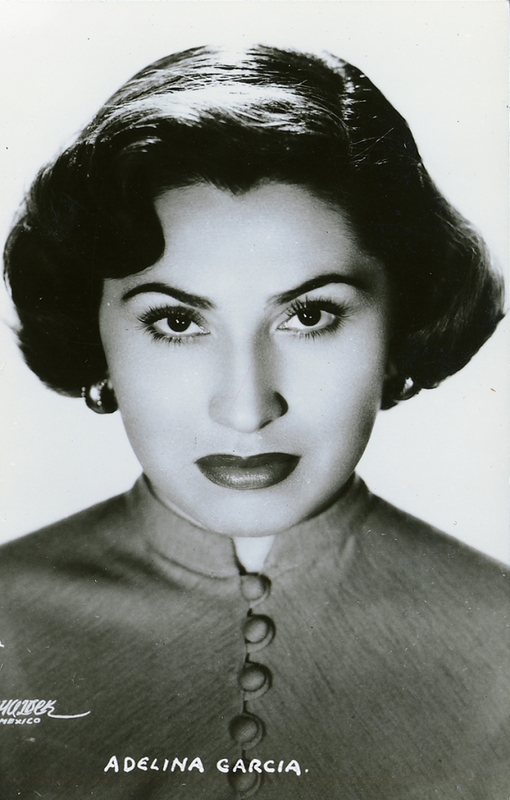 Adelina Garcia, "Queen of the Mexican Bolero"
The rest of the print has a similarly ominous feel: the singer is weighed down by barbed-wire chains around her wrist and a heavy, fetter-like crucifix. This haunting image is the face, so to speak, of Special Research Collections’ new exhibition, “Nuestras Américas: An Exploration of Expressive Cultures in Latina and Latino America.” The exhibition examines the ways in which Latinos and Latinas in both Latin and North America created senses of identity and belonging through artistic expression. Included are works of visual art, music, photographs, videos and musical instruments. The exhibition ranges widely in both time and style. 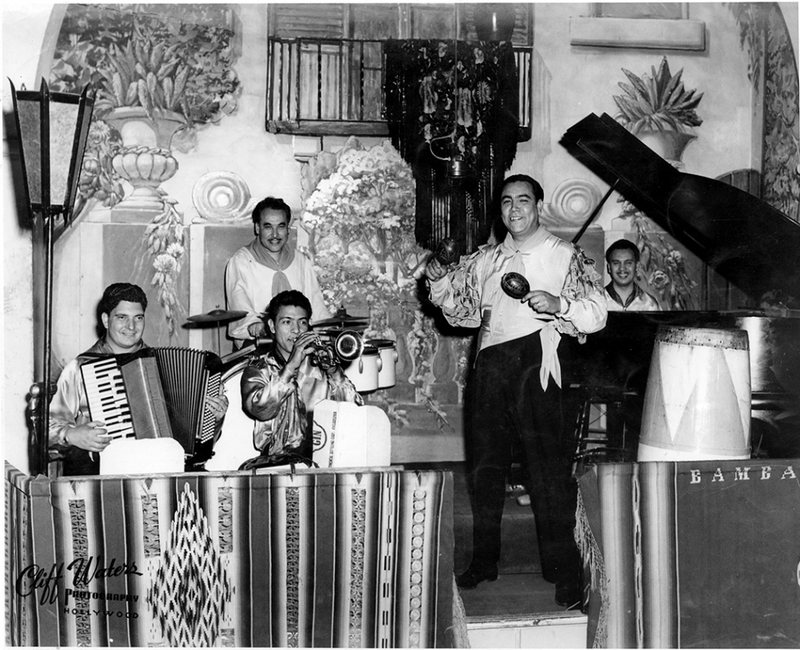 Music includes both the first samba recording, taken in 1916, as well as a range of 1980s Latino punk rock. 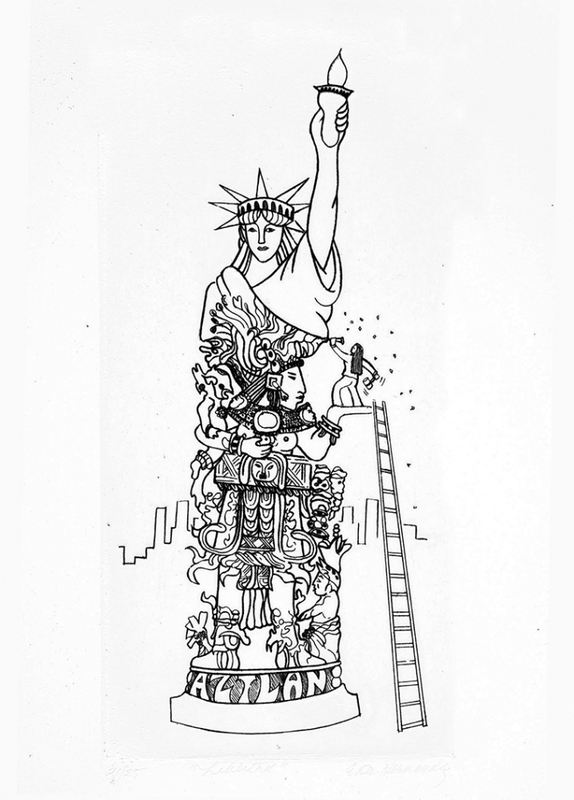 And the displays incorporate everything from high art — the ink drawing “Libertad,” by the artist Esther Hernandez, for example, which shows Maya glyphs being carved out of the Statue of Liberty — to mid-20th-century photographs of elaborately painted lowrider cars. Güereña describes these as “moving sculptures” created by young people of Latino descent. The idea for “Nuestras Americas” was born when the library acquired a variety of new Latino American materials. Among them were silkscreen posters from the Mission Gráfica and La Raza Graphics collections; a collection of Chicano punk rock with accompanying photos of the East L.A. punk scene; and an array of videos, sound recordings and other materials from the Troy Café, a famous L.A. venue for Latino performers. 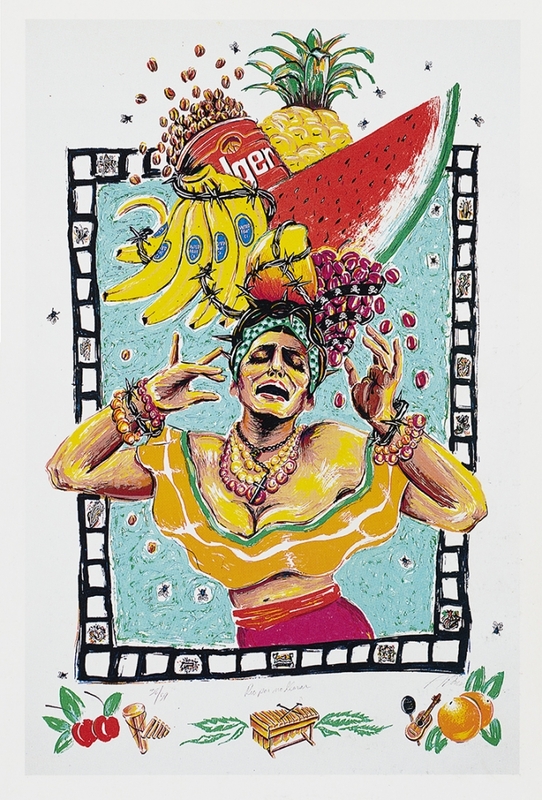 Both Latina and Latino American art forms are inevitably a mixture of elements from different cultures, which combine in striking and original ways. Take samba: “It’s a clear mixture of European musical forms, often filtered through the Caribbean with African influences there, combined with West African and West Central African influences in different parts of Brazil,” Lynch said. Contrast that to tango, which also incorporates African, Caribbean and European elements. Filtered through local and European immigrant cultures in Argentina and Uruguay, however, it sounds completely different from samba, he noted. Visitors will be able to hear the similarities and differences for themselves: A digitized recordings list will be available to exhibition-goers. Wave a smartphone over one of the codes and you can listen to your song of choice on your own device. The curators hope the exhibition will be a tool for teaching and community engagement. “We wanted something that could engage the broader campus,” explained Lynch. In addition to Lipsitz, a number of faculty members have coordinated their fall course offerings with Nuestras Américas. Micaela Díaz-Sánchez, an assistant professor of Chicano and Chicana studies and also a member of the curatorial team, has done so, joined by history professor Miroslava Chávez-García, film and media studies associate professor Cristina Venegas and writing department lecturer Patricia Fancher. In addition, Juan Cobo, a professor of history, will teach a research methods course that involves an in-depth examination of how the exhibition was put together. “We’re going to look at how archives are structured and then talk about transforming those boxes and file folders into a coherent presentation,” Lynch said. An opening reception for “Nuestras Américas” will take place Thursday, Oct. 18, from 5:30 to 8 p.m., in Special Research Collections, on the library’s third floor. Other activities related to the exhibition are designed to introduce the campus — and the surrounding community — to influential forms of Latino and Latina cultural expression. “The exhibition offers us the opportunity to appreciate and honor Latinx music and art as a great gift to the world,” Lipsitz explained. The Chicano rock musician Rubén Funkahuatl Guevara will present a performance piece and deliver a lecture at UC Santa Barbara’s MultiCultural Center Theater on Tuesday, Oct. 23, at 5 p.m., and the band Latin Fusion will perform at the same venue on Friday, Nov. 30, at 7:30 p.m.
And for those interested in learning Cumbia, a traditional Colombian dance form, a workshop will take place Friday, Nov. 7, at noon. “At a time when many people seem to think we would be better off if we had only one language, one skin color, and one way of thinking, the rich diversity and vitality of Latinx art and culture demonstrate the virtues of the dynamics of difference,” Lipsitz said.